James Hill Staff have been working hard in the past few months to identify the area of focus for our school’s Action Plan for Learning. The Action Plan is aimed to guide and enhance instructional practice around a goal that staff has identified as an area of focus for enhancing student learning. 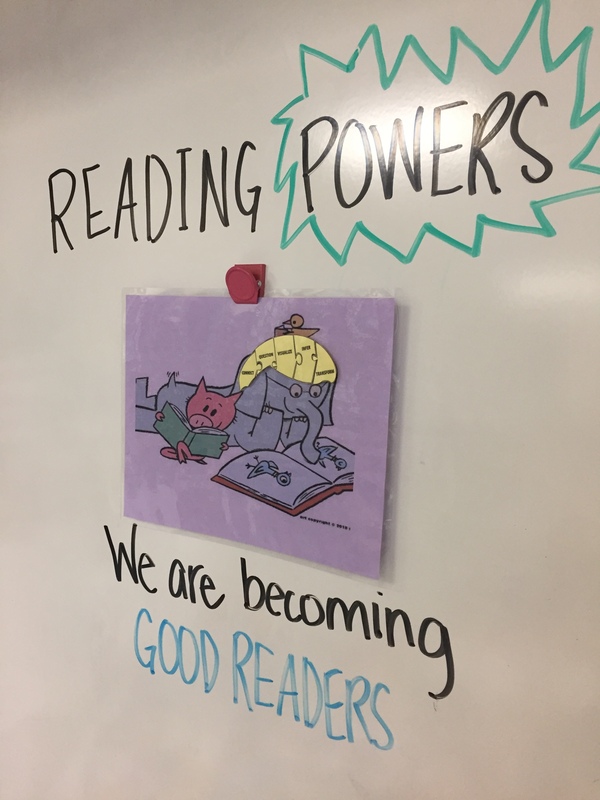 This year, our staff has chosen to focus on improving literacy rates through Early Intervention in the primary grades and Reading Power strategies to promote thinking while reading. 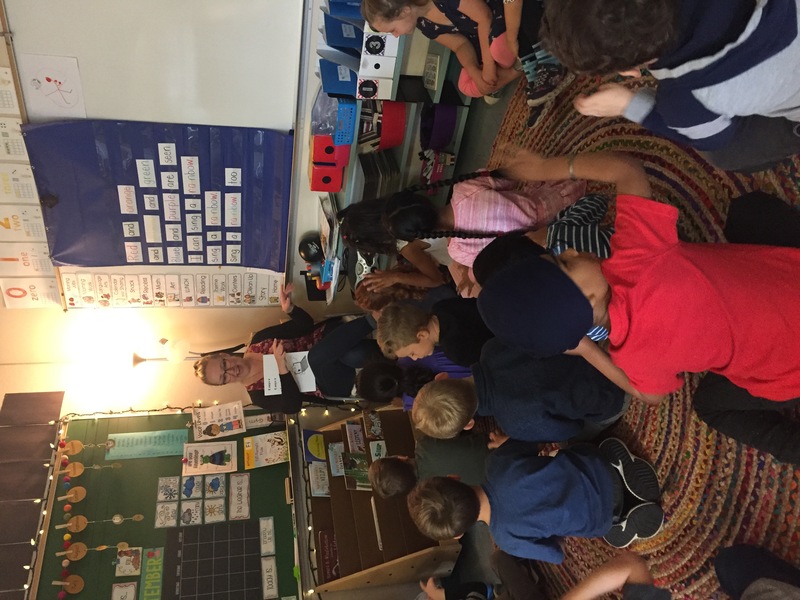 To support this goal, we also intend to focus student learning around the Zones of Regulation to teach students self-awareness and self-regulation strategies in order to provide optimal learning conditions for all students. We will add another learning post on Zones shortly! 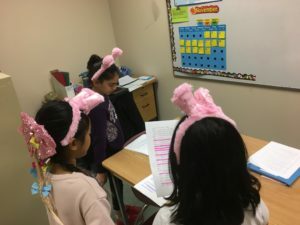 We all know that a balanced literacy program includes a variety of reading experiences, but it also includes a variety of ways to engage students in writing. Teachers are so creativ e in how they provide these opportunities. On a daily basis, students are writing letters to the principal via the class mailbox (and eagerly awaiting their written letter back), writing poetry and song lyrics, collaborating to conjure up ‘thick’ questions to promote inquiry and curiosity, creating journal entries, writing in workshop sessions to edit and revise their written work in order to ‘publish’, and researching and writing about passion areas. You may have noticed that your child is working with word groupings in a slightly different way than they may have in the past. We know that reading, writing and spelling are interconnected. Many teachers are focusing on programs that allow students to work with a family of words that match their ability level. Students learn important skills such as recognizing prefixes, suffixes & root words. 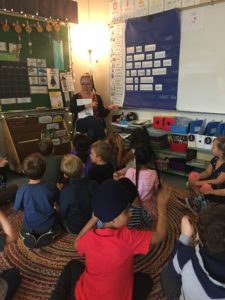 Over time, students learn to recognize patterns in words. 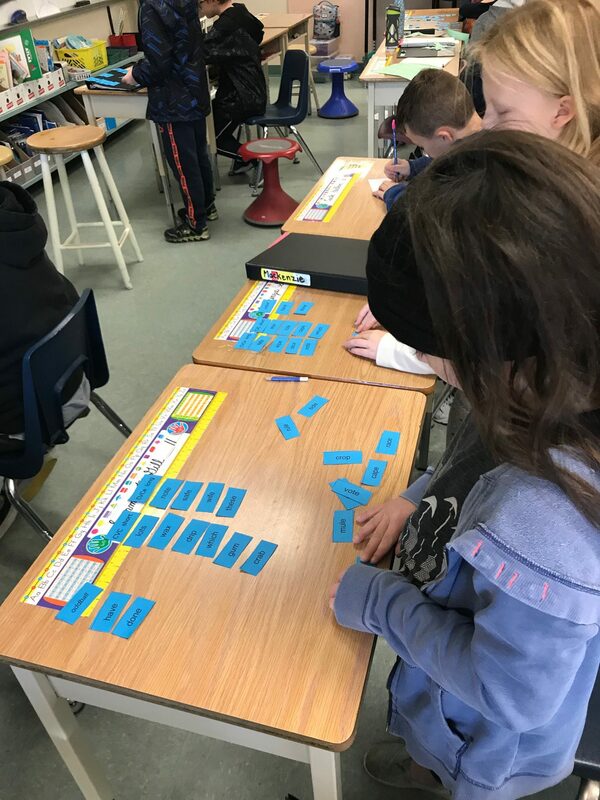 Many teachers use the Daily 5 Structure to enable students to engage in word sorts through literacy centers. Connect: making connections to the text and within the text (text-to-self, text-to-text, text-to-world). Question: developing deep and powerful questions before, during and after reading helps students to understand that parts of the story may be confusing or unclear while reading. Sometimes the author provides hidden clues about what might happen next, leaving us wondering. It is also a helpful tool for prediction, inference and foresha dowing. Visualize: many teachers refer to this power as the ‘movie in your brain’ as you read. What pictures emerge from the words the author uses? Visualizing is also a useful platform to imagine how our other senses might respond to text. How does powerful language help you to visualize? 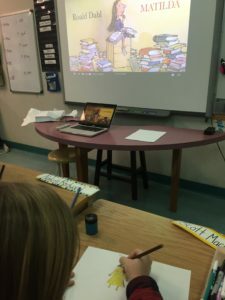 In the photo to the right, the teacher played an audio recording of the book and the students drew their images as they listened. Infer: while reading texts, the power to infer allows students to understand parts of the story that are not necessarily written in the texts. Students use word or picture clues to find out more about the story or the characters. To infer extends student thinking and is not necessarily verified by the author in the text. (At home tip: Ask your child to look for what is NOT there. Ask: What are you wondering about? Then ask them to try and answer their question. A great way to start an inference statement is “Maybe…” and fill in what is missing – what they think might be happening- based on clues). Transform: the power to transform is one of the more advanced Reading Powers. Some texts enlighten us to new ideas or thoughts that we hadn’t considered before. Our yo ungest readers are entering the fascinating world of literacy! 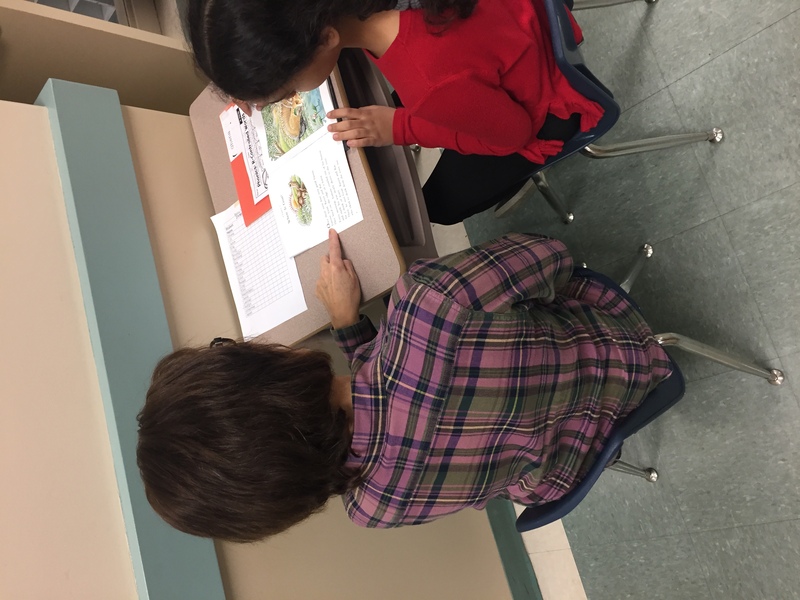 Students are read aloud to many times each day by an adult or intermediate student to showcase fluency and expression when reading text. It also helps young, emergent readers to learn to use the pictures in books as clues while reading. Our kindergartens are discovering the magic of letters and letter sounds and the wonderful world of writing! Students have learned so much in their short time at James Hill. 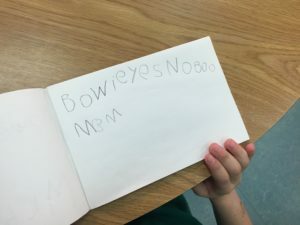 Now children can not only write their names, they can write sight words from around the classroom, identify the letter sounds of much of the alphabet and sign the letters as well! Literacy through play, learning centers and small group instruction is key in these emergent years. We want students to feel confident and joyous when reading! In other primary grades, students are using their hands to dive into literacy. 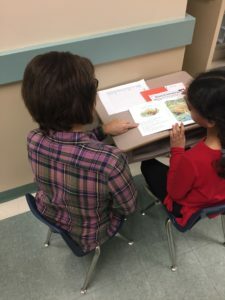 Play-doh, twistables, letter stamps, beads, sand and word hunts are common literacy activities while teachers perform small group guided reading instruction and assessments to inform future teaching and help each student find reading success. At JHE, we love to share our joy of reading with others! 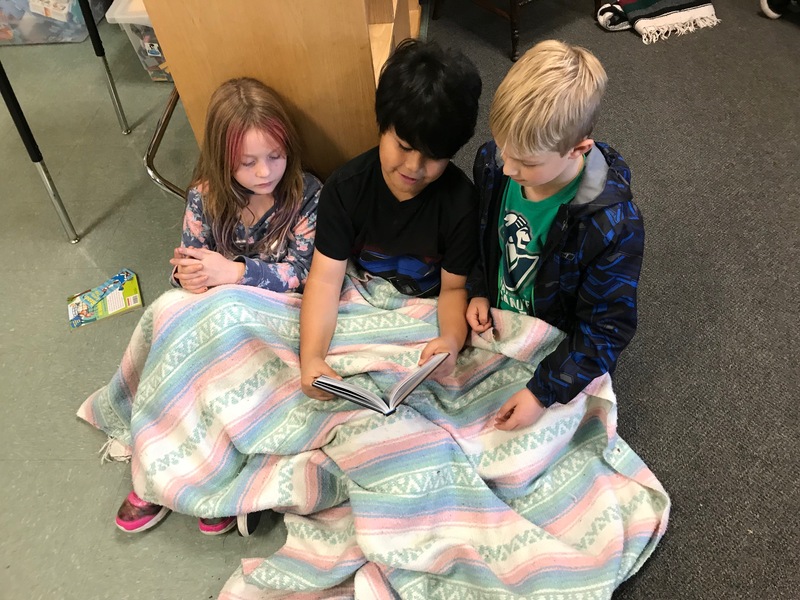 Any given day, you will see our students all around the school sharin g and enjoying literacy with one another. 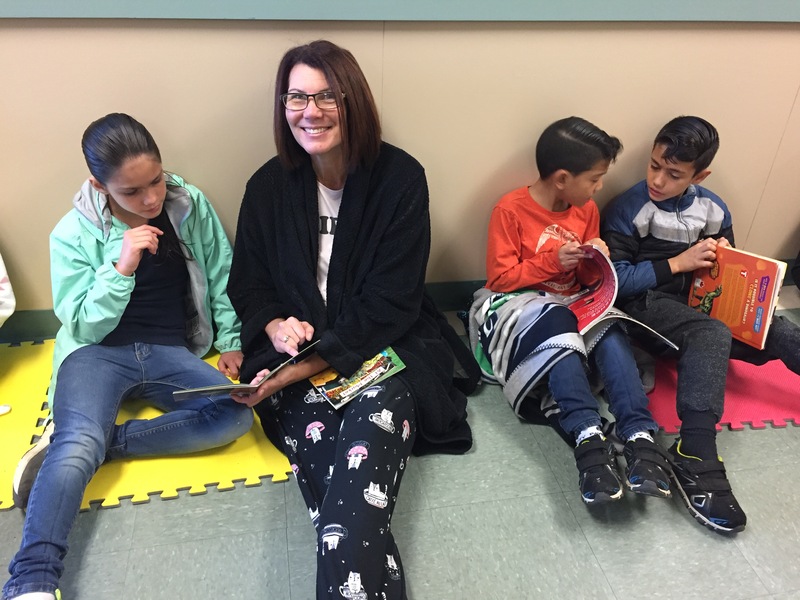 Students partner read, read in small groups, or read with teachers. 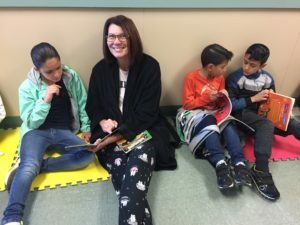 You often will see family members or other staff members reading with students in the hallways or in classrooms. We LOVE reading with others at James Hill Elementary and we celebrate it daily! We encourage families to continue the love for literacy at home! Reading with and to your child is a joyous, shared experience; one that can continue well into the teen years. Reading aloud a higher-level novel to intermedi ate students can expand their vocabulary, model fluency and expression, foster their growing understanding of plot and character development, and provide lots of conversation starters around the more advanced reading powers, particularly questioning, inference and transformation. 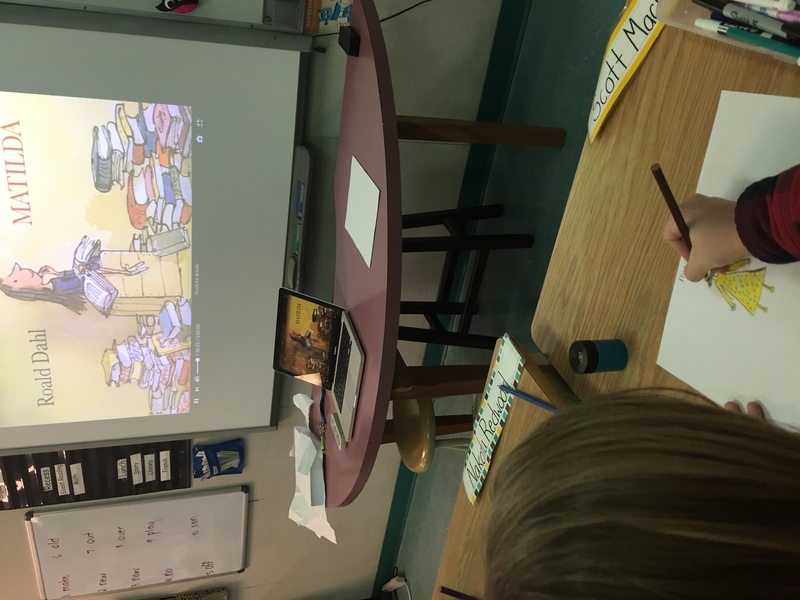 Watching a movie based on a book you shared is a great way to discuss visualization and how the director may have visualized something different t han you did as a reader. We hope you continue to explore and engage in multiple literacy experiences at home with your child! Stay tuned for future updates on our Action Plan for Learning goals!